This week's Trailer Park new film trailer of the week is Marvel's Avengers Assemble: presented to you this week through a little something I like to call the Good, the Bad and the Ugly list! We'll come back to that in a minute, but firstly let's start off with the basics. If you haven't already heard about this film, then what cave have you been living in for the last few years? Avengers Assemble sees some of Marvels biggest superheroes join forces to form a team known as The Avengers in order to defeat a great threat and save Earth and mankind. The superheroes in question are Iron Man (Robert Downey Jr.), Captain America (Chris Evans), Thor (Chris Hemsworth), Hulk (Mark Ruffalo), Black Widow (Scarlett Johansson), Hawkeye (Jeremy Renner); all lead by Nick Fury (Samuel L. Jackson) as they try to defeat the forces of the villainous Loki (Tom Hiddleston) - as you can clearly see, no expenses have been spared! The film is directed by Joss Whedon, who some people may recognise for his work on the very popular Buffy the Vampire Slayer and Firefly TV series' which have both generated their own large cult followings. 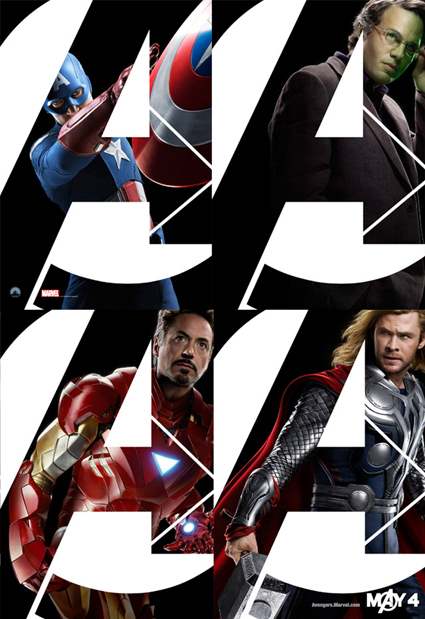 With each of the previous Marvel Studio films all setting up and leaving us hints and clues for this epic scale film, when the Avengers finally Assemble later this year we should be in for a cinematic treat! Released earlier this week, this brand new full-length trailer features a ton of new footage from the film itself, and shows off the epic nature and scale that we have to look forward to. The trailer shows us some moments with the superhero characters meeting and allowing their diverse personalities and egos to clash and create tensions between one another - which I believe will be where the strength in the film will lie; within the interactions and friction that will inevitably occur between the group members. Whilst the overall premise of this poster is good and shows off the film and what it's all about very well - re-introducing us to the characters and setting the scene for the action, it is the excruciatingly bad use any sort of basic photoshop skills that gives a cheap and unprofessional look to what could have and should have been a very cool and impressive looking poster design! 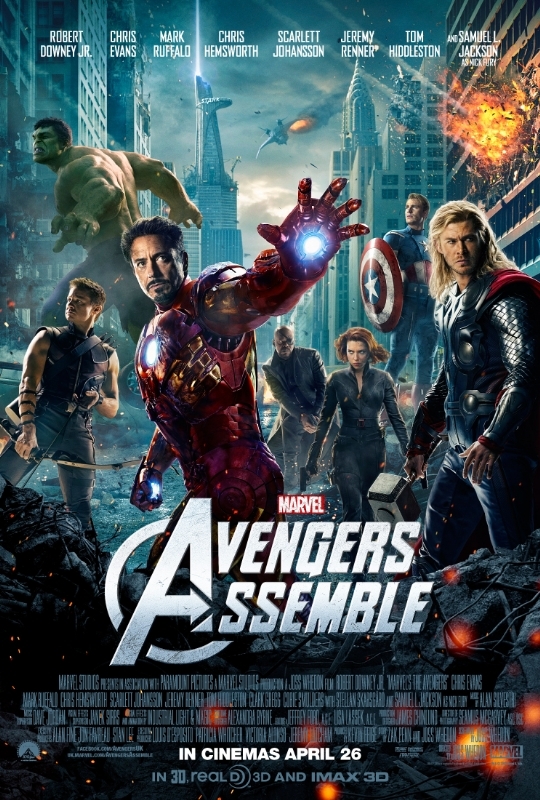 Avengers Assemble is released in cinemas across the UK on the 26th April 2012. 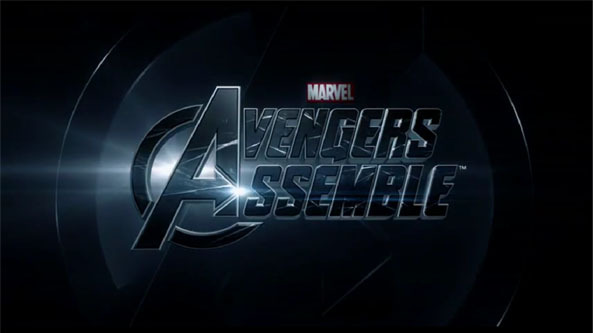 Did that trailer get you excited for the assembly of Marvel's Greatest? Do you think it will be a blockbuster or lacklustre? Do you agree with my Good, Bad and Ugly list? Leave your comments below! Pretty sick son, The fact you looked into it in such detail, Got to admit that poster is pretty bad after you realise the photoshop characters like you say such a shame they couldnt just go out and do a proper picture, Im sure they had enough money to take a professional picture, But still the films itself i hope is going to be pretty sick !